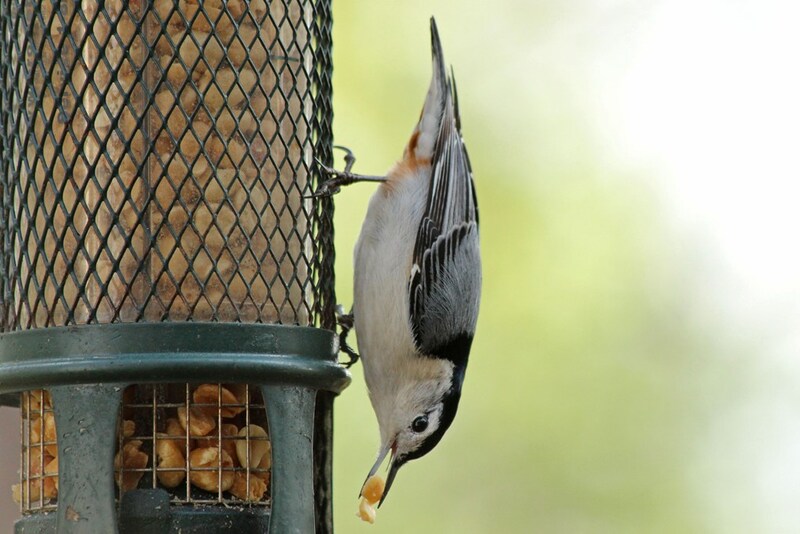 This White-breasted Nuthatch popped in to enjoy some peanuts for breakfast this morning. After freeing a peanut from the feeder (A Brome Squirrel Buster in case you are in the market) he hopped over to a tree limb to munch on it and then came right back for seconds. I’m pretty sure in this last picture he’s trying to do his best impersonation of a Blue Jay! 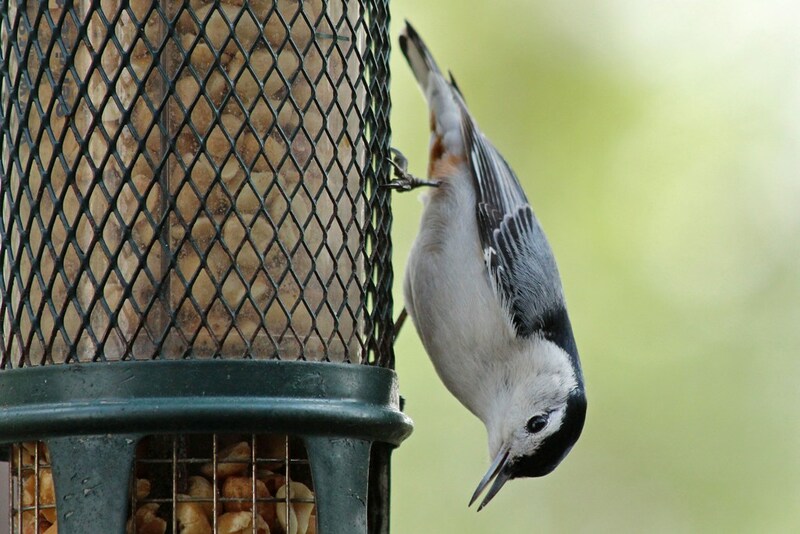 Curious, friendly, and fun to watch – these fellows are one of my favorite kinds of birds. I’m glad they are year round residents in my backyard. 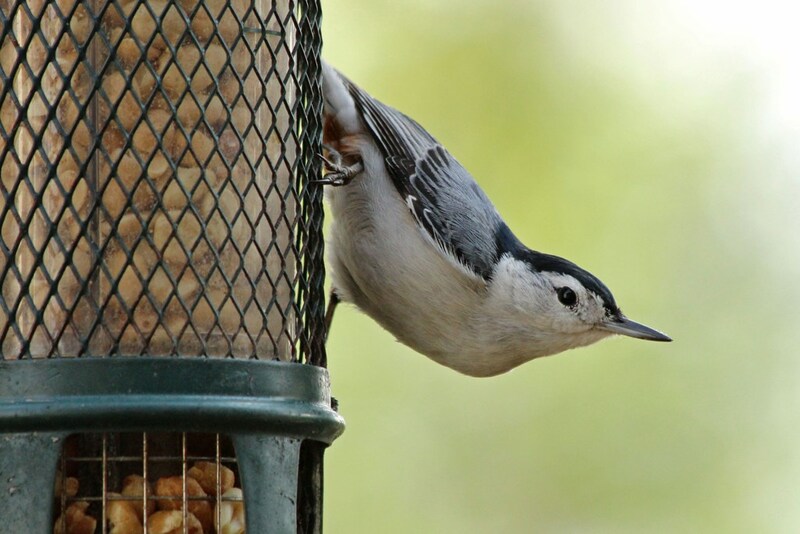 This entry was posted in Backyard Birds and tagged backyard birds, beauty, birds, georgia, hobbies, inspiration, nature, nuthatch, photography, wildlife, writing. Bookmark the permalink. He’s really pretty. Hadn’t thought of peanuts. Bet the squirrels are really having a hissy fit not being able to get to them. The little varmints will cleanout a feeder in a day, though, if isn’t a squirrel proof. Expensive but cheaper in the long run. 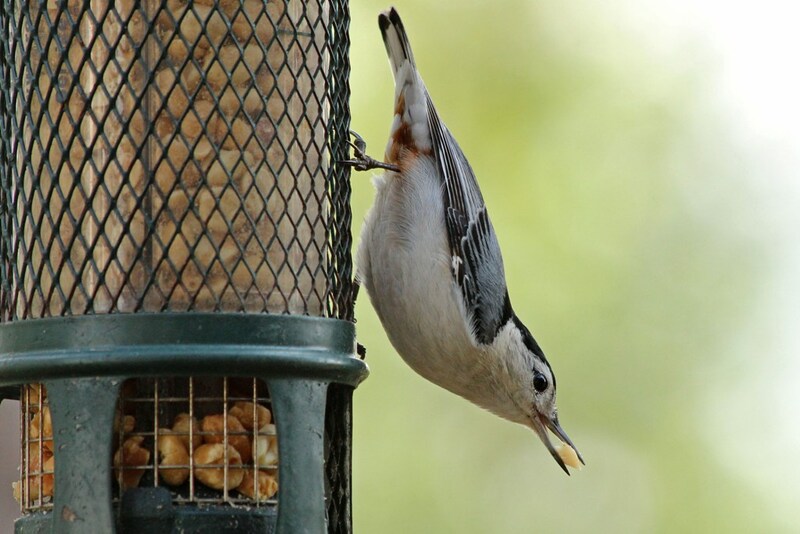 This feeder is worth every penny. 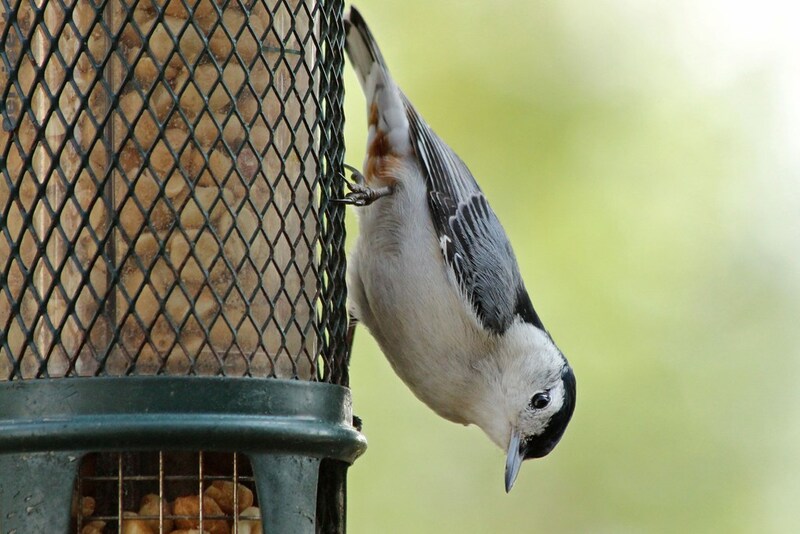 Gets a lot of activity, has held up well, and irritates the squirrels! What a cute bird, he has such personality! Personality is the perfect word…they have tons of it! I love to watch these little guys too. The way they march up, down, and around the tree trunks is really entertaining to see. You always have the most captivating pixs. Awaaa that’s so nice 🙂 Thank you for being so kind! Yes sure 🎨 Lucky I am!